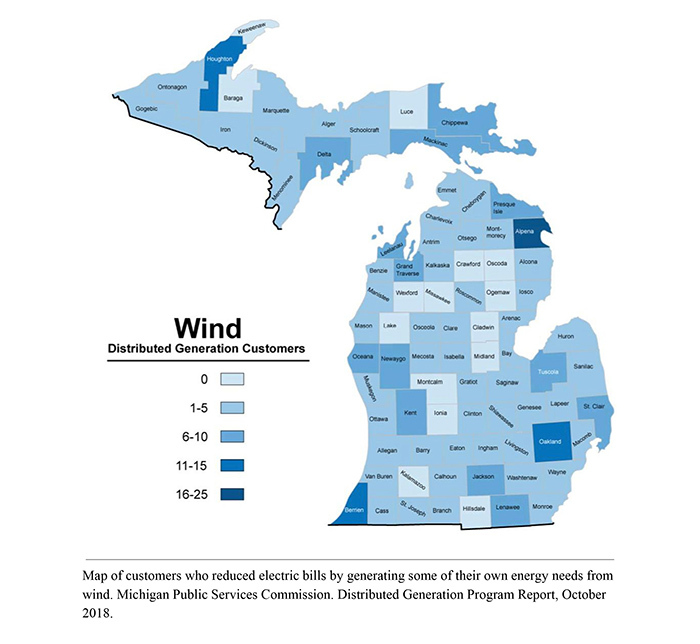 Michigan residents pay less for electricity from the grid when they produce some energy themselves from solar, wind and other alternative sources, according to a recent report. 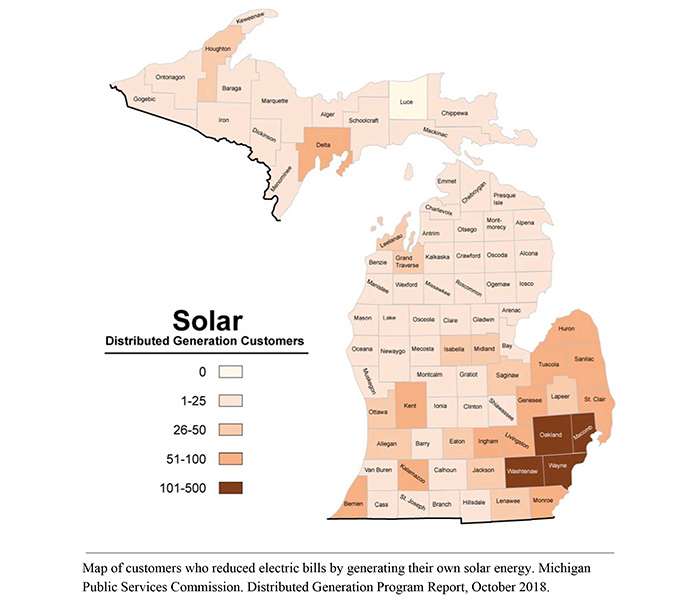 Map showing by county number of customers producing all forms of solar energy. Image: Michigan Public Service Commission. 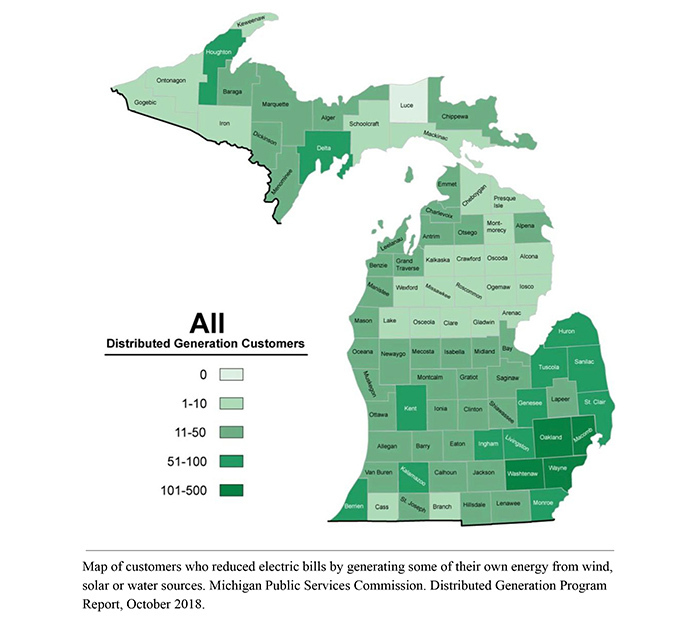 Map showing by county the number of customers producing wind energy. Image: Public Service Commission.